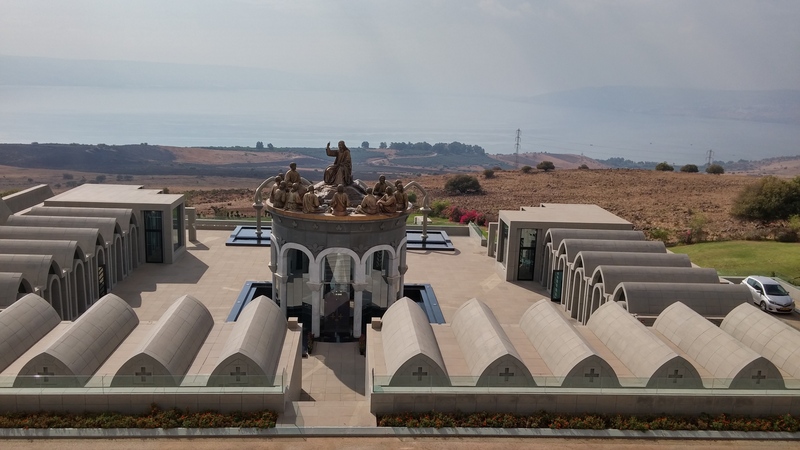 This magnificent building of Domus Galilaeae is in the lower galilee dominating the Sea of Galilee and the Mont of Beatitudes. Domus Galilaeae first stone was laid in January 1999, the building was built in a short period of time with traditional Tuscan stone. The opening of the site was held in 2000. 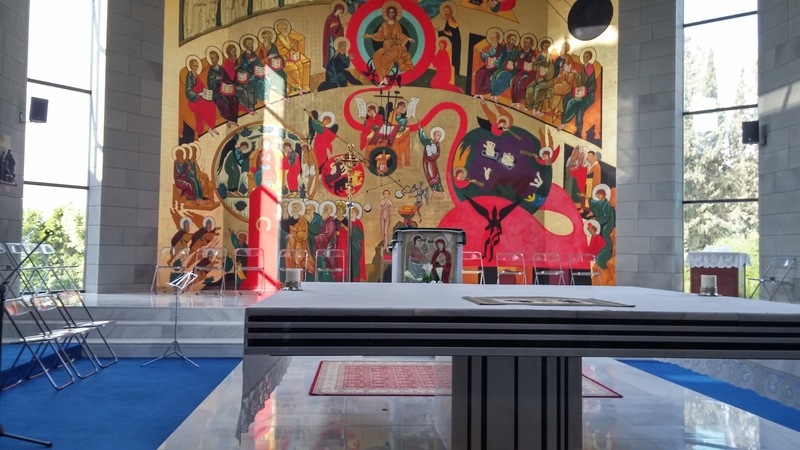 Managed by the Catholic organization Neocatechumenal Way, Domus Galilaeae employs about 150 full-time people, including workers, technicians and volunteers. There are 37 Christian Arab workers, 32 Arab Muslims, 21 technicians, 20 Jews, Druze and 10 Maronites. 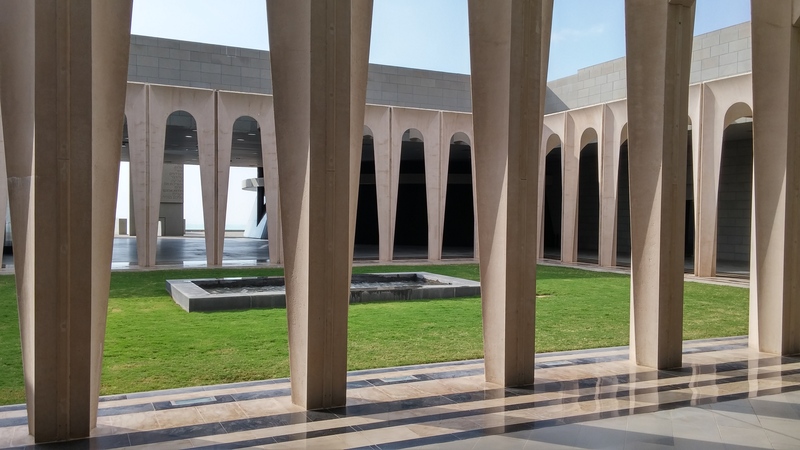 It was inaugurated by Pope John Paul II during his visit for the Holy Land Millennium . 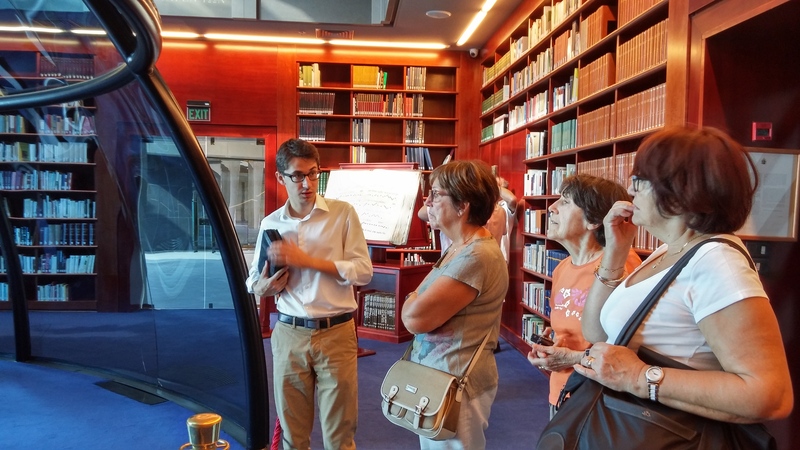 In the center of the library is an ancient Torah. Francisco José Argüello Gómez y Wirtz more fluently called Kiko Arguello Wirtz was born in Spain January 9, 1939. A Spanish artist who studied fine art at the Royal Academy of San Fernando in Madrid and received in 1959 the Special National Award for painting. He is not only the architect but also the innovator of what became in 1964 the Neocatechumenal Way in the slums of Palomeras Altas in Madrid. On May 13, 2009, he received an honorary doctorate by the Pontifical John Paul II Institute for Studies on Marriage and Family. 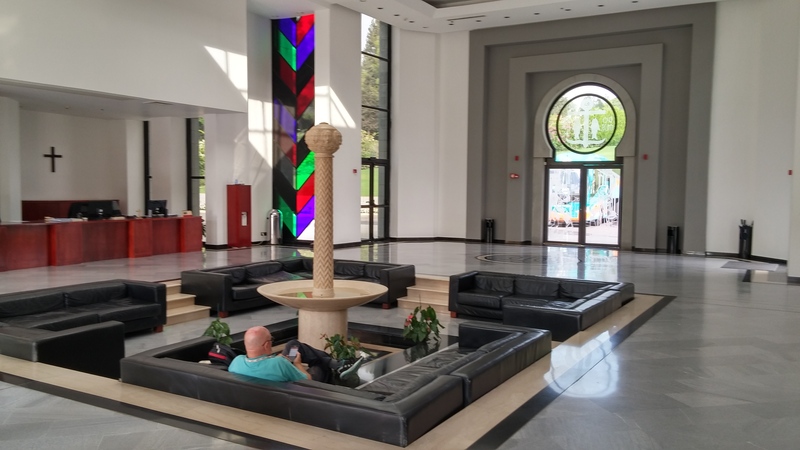 The center is designed as a place where Christians would learn about the living tradition of Israel following the footsteps of early Christian saints “who have returned to their Hebrew roots by studying the meaning of prayer, celebrations and Hebrew liturgies” . John Paul II, who illustrated a new era affinity between Catholics and Jews, stressed the need to appreciate the Jewish roots in order to live an authentic Christianity. 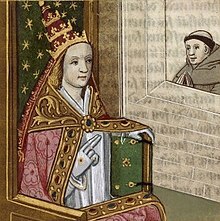 This entry was posted in ancient Torah, catholic, Christians, Domus Galilaeae, Francisco José Argüello Gómez y Wirtz, Holy land, Holy land Millennium, Israel, Jewish, Kiko Arguello Wirtz, Lake Kinnereth, lower Galilee, Mount of Beatitudes, Neocatechumenal Way, Non classé, pilgrimage, pilgrims, Pontifical John Paul II, sea of galilee and tagged christianity, faith, Hebrew roots, judaisme, religion on 24 October 2015 by Nicole Samuel Israel Guide. 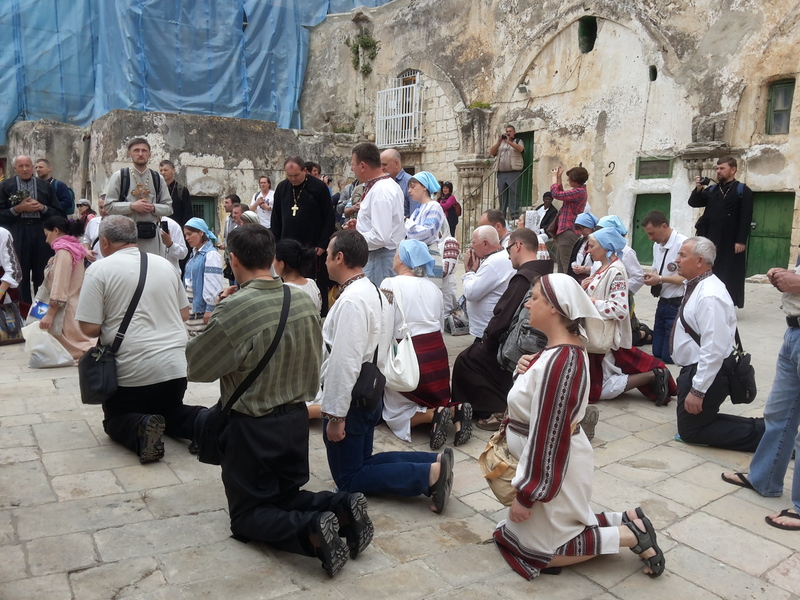 I was in Jerusalem during this Holy Week and I met many Christians groups united by faith who have come to celebrate this Feast of Easter together in the Holy City. 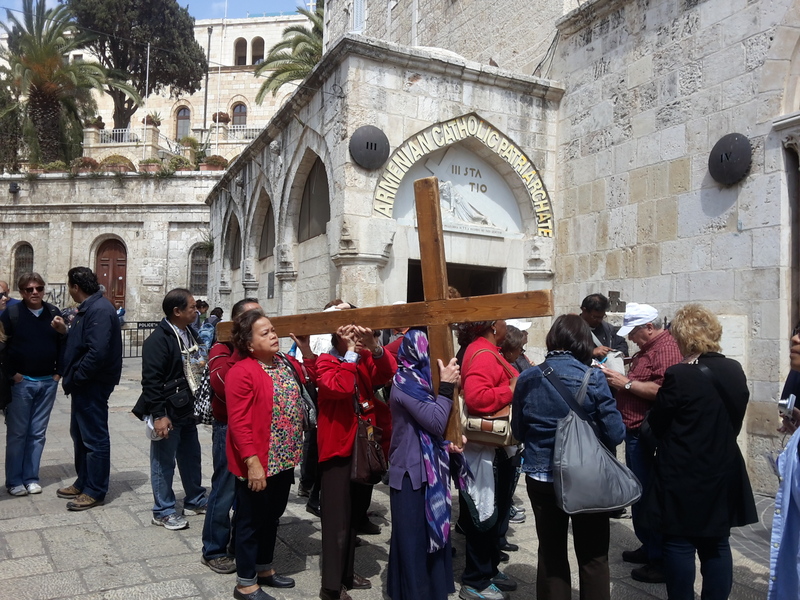 This entry was posted in Christianity, Easter feast, Holy Sepulchre, Holy week, jerusalem, Jesus, Non classé, pilgrims, Way of the cross and tagged christianity, faith, New testament on 7 April 2015 by Nicole Samuel Israel Guide. Archaeologists say they have uncovered the remains of King Herod’s palace in Jerusalem – and with it the site where the trial of Jesus may have taken place. 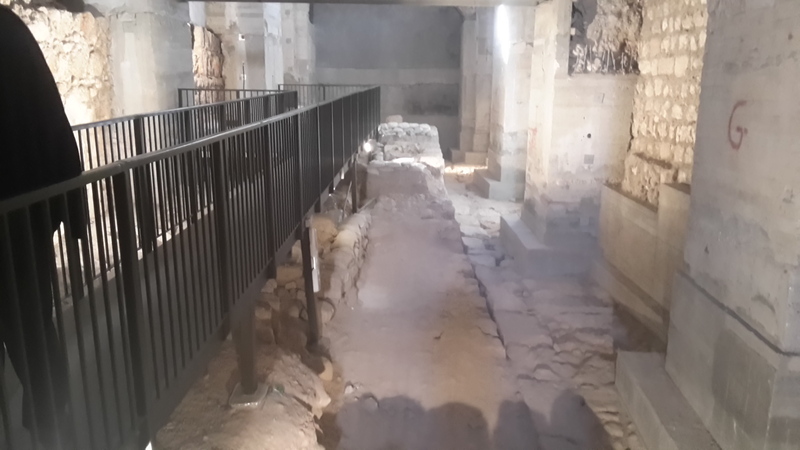 The excavation of an old abandoned building near the city’s Tower of David Museum could have revealed the remains of a palace where the trial described in the New Testament took place, reports the Washington Post. 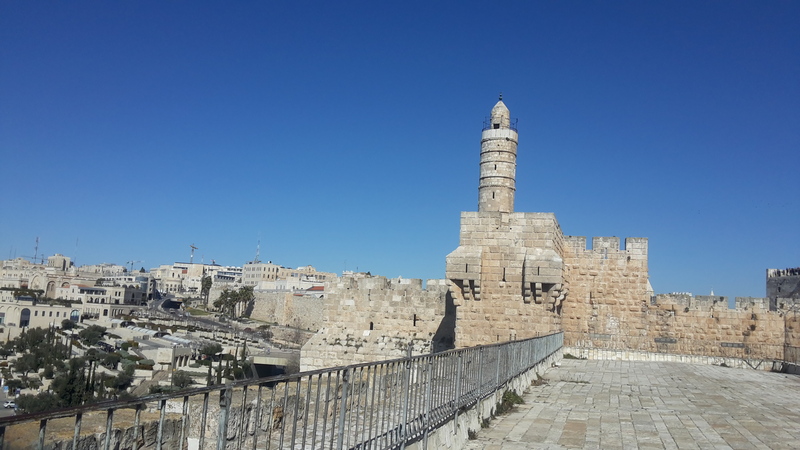 The building known as the Kishle is situated to the south ot the Tower of David and was built by Ibrahim Pasha, the Egyptian ruler in 1830, used as a military compound it became a police station and jail during the British Mandate. This entry was posted in British Mandate, David museum tower, Egyptian ruler, herod palace, Ibrahim Pasha, jerus's trial, jerusalem, king herod, kishle, Non classé, Palace and tagged Bible, christianity, faith, history, New testament, religion on 23 February 2015 by Nicole Samuel Israel Guide. The Benedictine Church of the Multiplication of Loaves and Fishes, called Tabgha in Arabic or Heptategon in Latin meaning – seven sources is located on the shores of the Sea of Galilee on the ancient roman road – The Via Maris. 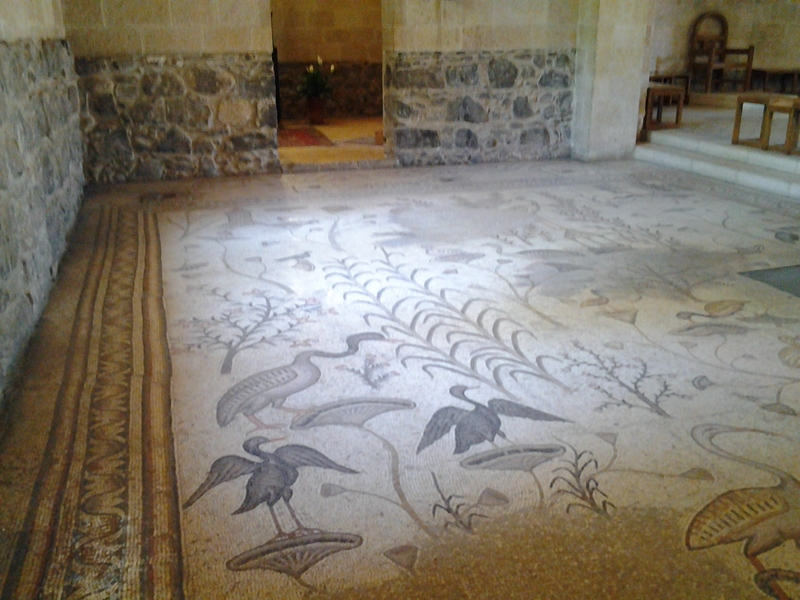 The magnificent Byzantine mosaics of the church, dating from the sixth century, describe the migratory birds crossing the Holy land and resting at the Sea of Galilee. Israel is the passage of migratory birds on their way to Africa heading to Europe, one never get tired of watching flights of storks, cranes, pelicans, cormorants, kingfishers, hawks and many others above our heads in Spring or Autumn. 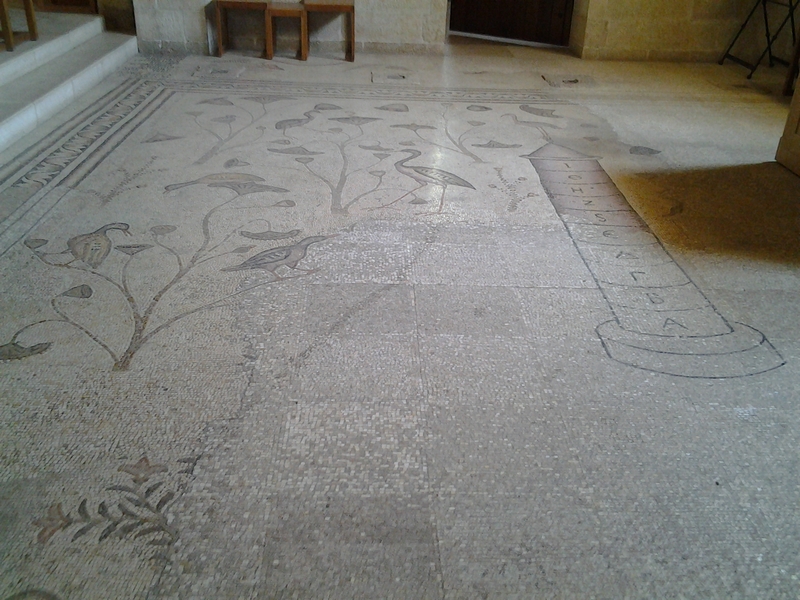 There is also a Nilometer in this mosaic, a measure that was used in Egypt to know the height of the Nile. That this measure was used outside Egypt and the artist probably an Egyptian reproduced what he knew best. We know as well that the nilometer allowed to know the water level of the lake meaning a better harvest if there was a lot of water and higher taxes to be pay by the farmers. 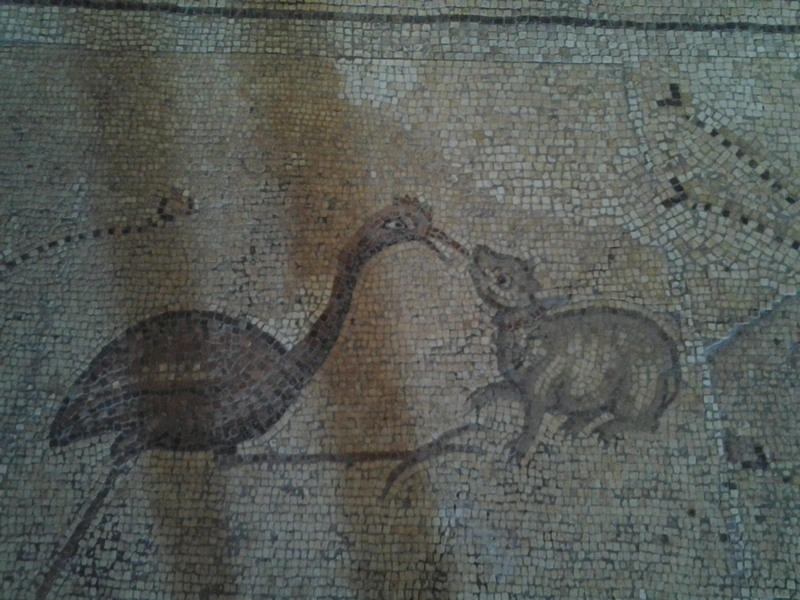 This entry was posted in byzantine mosaics, Church of loaves and fishes, heptategon, kinnereth lake, migrating birds, Nilometer, sea of galilee, Seven sources, tabgha, Uncategorized, Via Maris and tagged Benedictine, byzantine art, christianity, history, mosaics, religion, tradition on 26 January 2015 by Nicole Samuel Israel Guide. For centuries, thousands of visitors have been visiting Jerusalem. Among them there is a small number – victim of what experts call the ”Jerusalem Syndrome”. 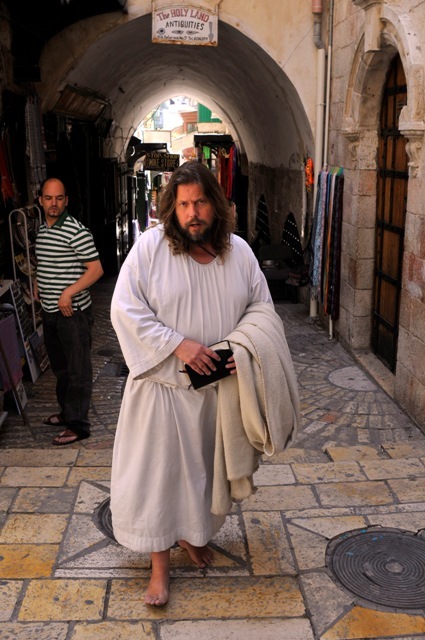 There are about forty people each year from among two millions of tourists, who have been hospitalized in Jerusalem for believing to be either the Messiah, Mary Magdalene or any other biblical character. In the Capital they are being taken care of by the Emergency departments of Kfar Shaul Psychiatric Hospital. 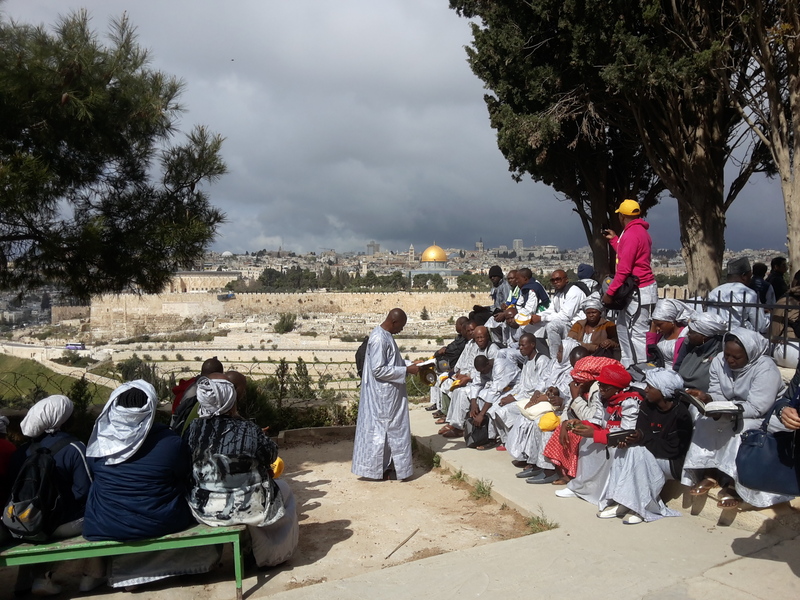 These ”would-be Messiahs” with their eccentric and bizarre behaviour are attracted by the mystique of the Holy City and are completely losing touch with reality. They become psychotic upon entering Jerusalem. Contrary to what was expected, the year 2000 was not the safe haven for all these “false Messiahs.” Only a few arrived in Jerusalem, and were taken care of by the Israel Police, psychiatrists and psychologists. ”Jerusalem, a city that combines the sense of the sacred, history and paradise, has an unparalleled attraction for believers of various religions of the world – especially the Jews, Christians and Muslims. When people dream of Jerusalem, they do not see modern Jerusalem and politically controversial, but the City Religious Scripture and biblical. 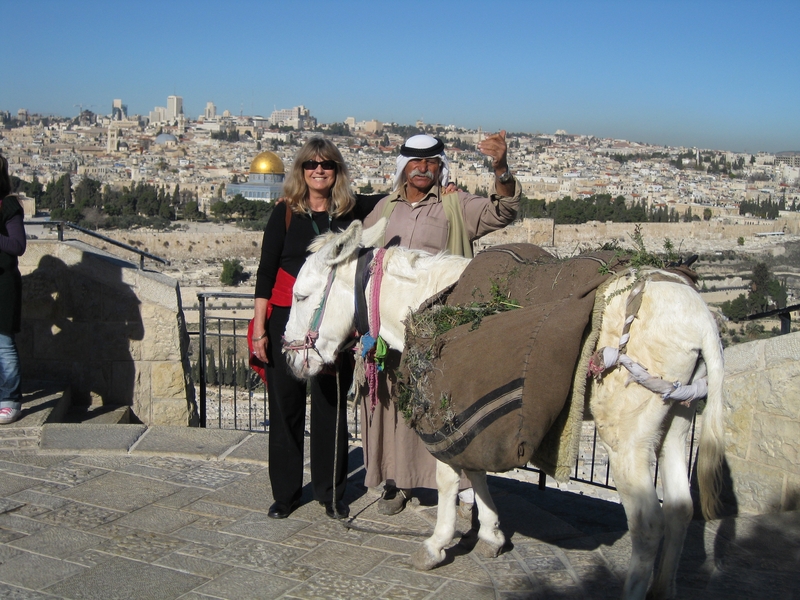 This entry was posted in Holy city, jerusalem, Kfar Shaul hospital, Messiah, The Jerusalem syndrome, trauma and tagged christianity, faith, religion on 10 January 2015 by Nicole Samuel Israel Guide.